If you wander down the right bank of the River Thames from Tower Bridge, you’ll come to a block of luxury flats, close to the old St Saviour’s Dock, that is still called Jacob’s Island. It is one of those anonymous dockland blocks, where each individual property costs a great deal of money. To live there would cost the kind of wealth that would have been unimaginable to the folk who lived around Jacob’s Island in the early part of Queen Victoria’s reign. For, until the 1850s, this was one of the worst slums in Victorian England. A rookery too, in many ways. A place where people were forced to resort to crime in order to exist. I’ve always been fascinated with Jacob’s Island, ever since I first read about it in the works of Charles Dickens, Charles Kingsley, and the social commentator Henry Mayhew. Having walked around the site of the old rookery, I wanted to write about it too. In my new book, Deadly Quest, which is published this Friday, I’ve featured Jacob’s Island quite a bit. My novel has its climax there. ...surrounded by a muddy ditch, six or eight feet deep and fifteen or twenty wide when the tide is in, once called Mill Pond, but known in these days as the Folly Ditch… in Jacob’s Island, the warehouses are roofless and empty; the walls are crumbling down; the doors are falling into the streets; the chimneys are blackened, but they yield no smoke… the houses have no owners; they are broken open, and entered upon by those who have the courage; and there they live, and there they die. They must have powerful motives for a secret residence… who seek a refuge in Jacob’s Island. Oliver Twist, Chapter 50. So outraged were some London officials by Dickens’ description of Jacob’s Island that they attacked him quite publicly. One city Alderman denied that Jacob’s Island even existed. But it did, and it was probably much worse than even Dickens described. The then Bishop of London, concerned about the appalling conditions, agreed that Dickens’ description was accurate. Influenced by the social commentary of Henry Mayhew, Charles Kingsley gives his own description of Jacob’s Island in his social novel Alton Locke. If you want to understand the full horror of the place all three writers’ works are well worth seeking out. Given these descriptions by some of our greatest writers, I was daunted at the thought of portraying Jacob’s Island in Deadly Quest. But, in a way, my portrayal of Jacob’s Island is much later than theirs. Oliver Twist is set during the reign of William IV, Kingsley and Mayhew’s work a trifle before my book, where the events take place in 1854. At that time the old rookery of Jacob’s Island was going through its death throes. The London authorities had recognised that the conditions were too appalling to be tolerated any longer. There had been an outbreak of cholera in the early 1850s – not surprising given that the residents took their drinking water from the Folly Ditch. Some of the island’s buildings had been demolished. Parts of the Folly Ditch, a foul waterway that penetrated to the heart of the district, had been filled-in by 1854. In fact, I’ve taken a few liberties and preserved – for the sake of Deadly Quest – a little more than probably actually survived in 1854. In my novel, only the truly desperate are still living on Jacob’s Island. I’ve made it the haunt of criminals – after all, my book is a thriller. The sad truth is that only the most pitiful would have still been clinging on, criminals only in the sense that they had to survive. My book Deadly Quest is now out in paperback and will be published on Kindle from Friday. It’s cheaper if you buy it on pre-order before the actual publication date. Just click on the link for more information. Visit the Goodreads site at http://www.goodreads.com site to win one of three signed copies of my new novel Deadly Quest. A couple of years ago I wrote the first adventure of a Victorian vigilante called William Quest, a gentleman adventurer with a swordstick who seeks to right wrongs and even up the injustices of society. That book was called The Shadow of William Quest. William Quest has pleased me by his popularity and the book has achieved good sales, not only in his home country, but in the USA and several other lands around the world. A big thank you to everyone who’s bought a copy, told friends about it and left reviews on the online sites. If you’ve enjoyed the book – or any of my other titles – and haven’t left a review on the online sales sites, please do. Every review helps all Indie Authors with sales. I’ve now written the second book in the series, Deadly Quest, which is already out in paperback and which will be published as an eBook on Kindle on 30th September. Cheaper if you pre-order as a Kindle book before the publication date, by the way. The first novel was set in London and Norfolk. The new book Deadly Quest is set entirely in London, mostly down by the river. I’ve tried to capture a real feeling of London in 1854. Fortunately, I’ve spent years studying Victorian history – I did it as a minor subject in my university degree. I’ve devoted a lot of time since to an expanded study of the Victorian underworld, particularly as regards London. Some of my novel has scenes in a notorious rookery of the time called Jacob’s Island. A district of appalling poverty in Victorian times, Charles Dickens visited it with a police guard. It features in the climax of Oliver Twist. It was already partially demolished by the 1850s. The area was bombed by the Luftwaffe in the London Blitz. Redevelopment accounted for much of the rest. Today that once dreadful slum is a development of luxury flats. You can still visit Jacob’s Island, but it takes quite a leap of imagination to get back to Victorian times. One problem I encountered in my sequel was that I revealed virtually the whole of Mr Quest’s back story in the first novel, explaining why he decided to take the law into his own hands, fighting for truth and justice and so on. In the new book we start with a completely clean slate. Many of the characters from ‘Shadow’ make a re-appearance, and there are several villains waiting to be vanquished. It’s been fun encountering the minor characters again. They’ve become quite real to me over the years. Visit the Goodreads site at http://www.goodreads.com site to win one of three signed copies of Deadly Quest. As Indie Publishers we are taking on the big boys in the publishing industry, like the Rupert Murdoch empire. That’s why we need the help of our readers to get the word around about our books. So please do us a great favour and tell your friends. Word of Mouth is the greatest form of advertisement. As a reward to our loyal readers we’ll be doing more giveaways – signed copies of our books – on the Goodreads site over the coming months. If you haven’t tried the first William Quest novel yet, and wish to read the series in order, do click on the Books link at the top of this page to order The Shadow of William Quest or any of our other titles. And yes, there will be more William Quest stories. The next tale will appear next year. Our Inspector Abbs Mysteries are on SALE for this week only on Kindle Countdown for 99 Pence/Cents each. A Seaside Mourning and A Christmas Malice will be available at this price only until next Saturday. We’re currently writing the next Inspector Abbs novel, which is set in London. Well, the new William Quest novel, Deadly Quest, will be available for pre-order later this week, so we are celebrating all things Victorian. Watch out for some special blogs about the new book over the coming days. Please forward this to any of your friends who enjoy Historical Crime. We don’t have Rupert Murdoch’s publishing budget, so rely on word of mouth to tell people about our books. 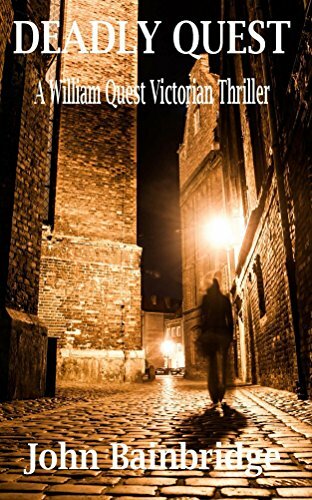 An atmospheric Victorian murder mystery. Devonshire 1873. In the sleepy seaside resort of Seaborough, a leading resident may have been poisoned, Still coming to terms with his own mourning, Inspector Abbs is sent to uncover the truth. Christmas 1873. 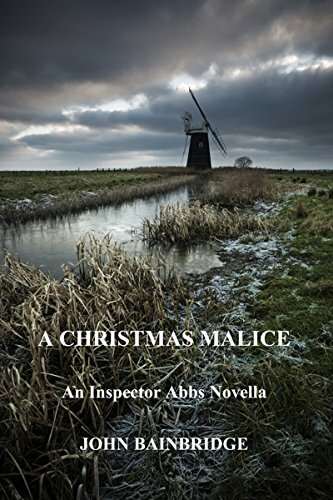 Inspector Abbs is visiting his sister in a lonely village on the edge of the Norfolk Fens. He is hoping for a quiet week while he thinks over a decision about his future. However all is not well in Aylmer. Someone has been playing malicious tricks on the inhabitants. With time on his hands and concerned for his sister, Abbs feels compelled to investigate.. This complete mystery is a novella of around 33,000 words. The events take place shortly after the first full-length Inspector Abbs novel, A Seaside Mourning. We are now playing a more active role on our Goodreads page. You’ll find a list of all our books there, plus information on what we’re reading. There’ll be giveaways of signed copies of our paperbacks coming up, plus publishing and writing news. The page also gives you an opportunity to ask us questions about our work. 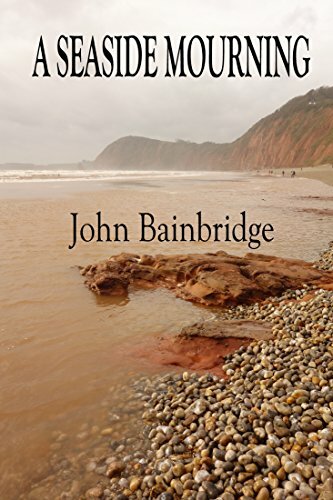 So just click on the Goodreads site at http://www.goodreads.com type in John Bainbridge in the Search. There are several other John Bainbridge’s so enter one of our book titles as well, say Wolfshead, or A Seaside Mourning etc.